Time-traveling mutant Cable recruits newer mutants to go look for a mutant killer after the death of an External. Whenever there is a major disturbance in the timestream, Cable takes it upon himself to restore it back and currently, he has recruited Longshot to investigate a corpse in a forensic center of New Orleans. He initially picked up an anomaly but by the time he got here, the trail goes cold and the person he was chasing ended up being dead. The person lying in front of them is named Candra who officially doesn't exist and was one of the Externals, a group of eternal mutants. Although she was supposed to be immortal, her killer has taken her life by ripping her heart out. When asked to see into her memories, Longshot saw her putting up a fight before dying but failed to see the attacker. With the demise of Candra and rest of her kind perished previously, only Selene remains as the last of Externals and Cable believes that she already knows about the incident because of the telepathic link they all share. Given her history of killing the rest of her peers in past, Nathan chose to find his answer from the corpse instead of going to her. Seeing that idea didn't work out, he decides to face her at Hellfire Club after recruiting Doop and Shatterstar. They sneak in past the security only to be ambushed by Selene herself, who was expecting their arrival. Following a brief skirmish it became apparent that she didn't was not responsible for the murder they were investigating earlier. 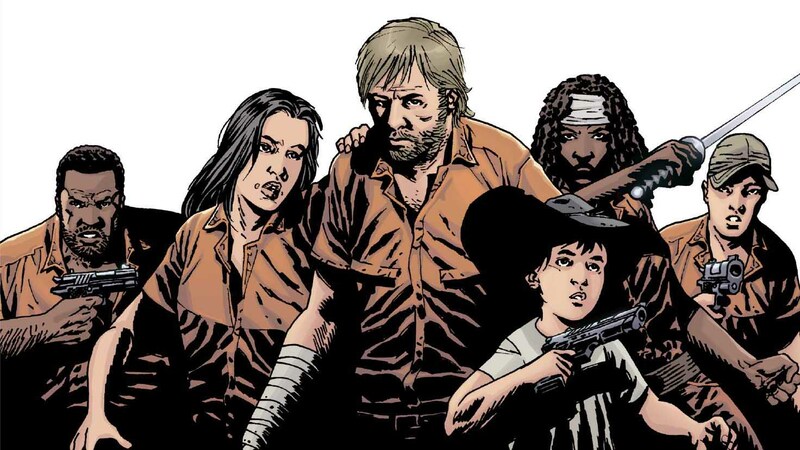 Turns out they all are after the same assailant and when Nate mentioned of her being the last External, she revealed formerly deceased Absalom, Crule and Nicodemus of her race standing behind them. Though there was a heated exchange between the two groups, Black Priestess tells her allies to stand down and the team of X-Men to leave. When Shatterstar asks Nathan for his reason to walk out, he states that if the eternal mutants have been working for the woman who killed them a decade ago, clearly they are all afraid of the mysterious assassin who is hunting them down. The only three who did not join their cause are Burke, Saul and Gideon, persons he would like to meet next. 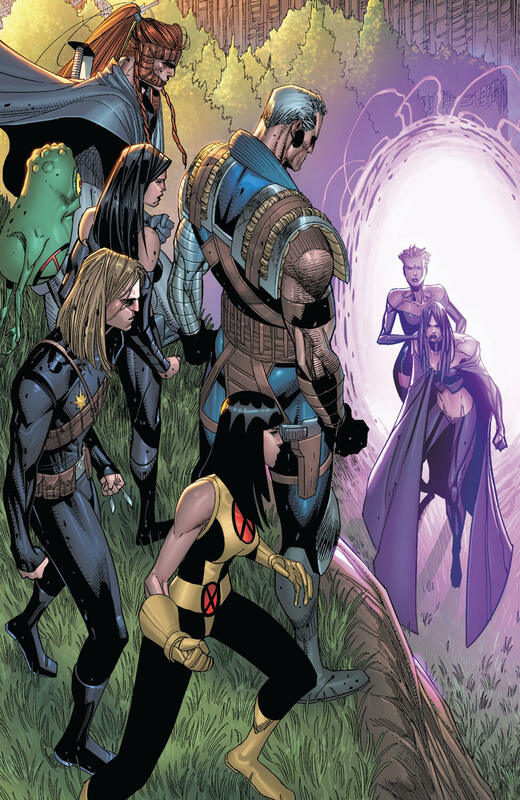 Since Gideon is off the grid at this time, he plans to go after the rest in two groups and considering how they were dominated by the mutant witch, Armor and X-23 are taken in for help. Meanwhile, Selene and her group sail to the middle of Atlantic to retrieve a secret weapon of hers from a portal now that they all are in grave danger. With Doop and Hisako, Cable goes to see Burke, a precog and wants to die after having been around for centuries. Therefore, he wishes not to help them finding the killer. In the mean time, Shatterstar travels to Mongolia with Laura and Longshot only to discover Black Priestess and her allies beside the lying corpse of Garbha-Hsien AKA Saul. Nathan quickly rushed to Mongolia on a Blackbird alongside his fellow mutants to regroup with the rest of his team. They catch up and Nate learns of the secret weapon Selene brought to her side, a mutant teleporter and original Generation X member named Blink. They head to make one more stop at Black Canyon of Colorado, looking for Gideon. The team is greeted by an A.I. assistant who takes them all inside where they can see a near skeletal form of Gideon lying in stasis. Although the robot claimed that he has been lying around like this for the last decades after Selene tried to kill him, the entire complex goes to a total lockdown when the team of X-Men tries to investigate further. Here is your links to buy "Cable – The Newer Mutants" from Marvel Comics in issues on Amazon. Here is your link to buy "Cable – The Newer Mutants" from Marvel Comics on Amazon. 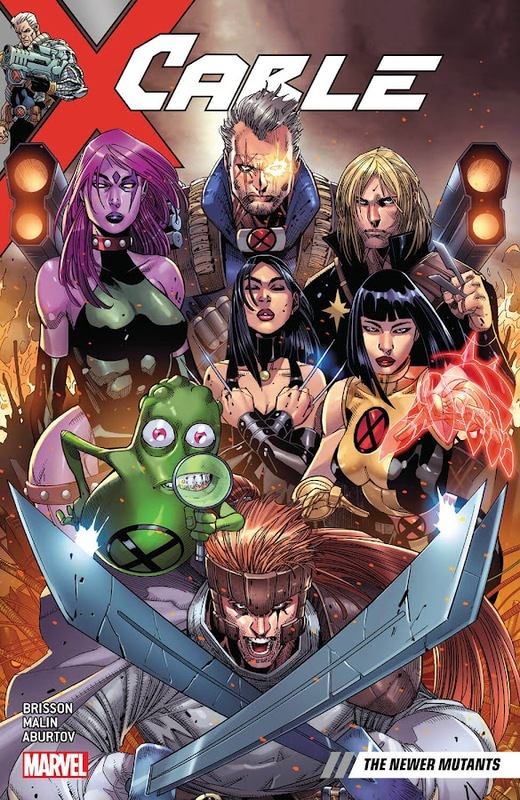 Titled "The Newer Mutants", the 2018 storyline is plotted out by comic-book writer Ed Brisson (Old Man Logan – Days of Anger, Old Man Logan – Scarlet Samurai) and artist Jon Malin (Thunderbolts – No Going Back, Thunderbolts – There Is No High Road) took care of the covers for involved issues as well as interior illustrations. An External named Candra was formerly known as Red Death, who had alliance with both Assassins Guild and Thieves Guild. When she ended up dead, Nathan goes to look into the matter with the Lost Messiah of Mojoworld, Longshot. 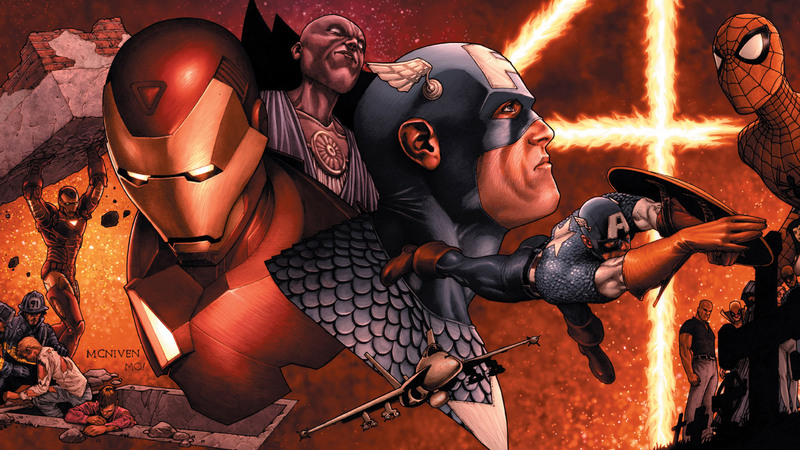 He enlists Armor, Doop, X-23 and even a semi-amnesiac Blink, who would play a major part in their victory in the end. 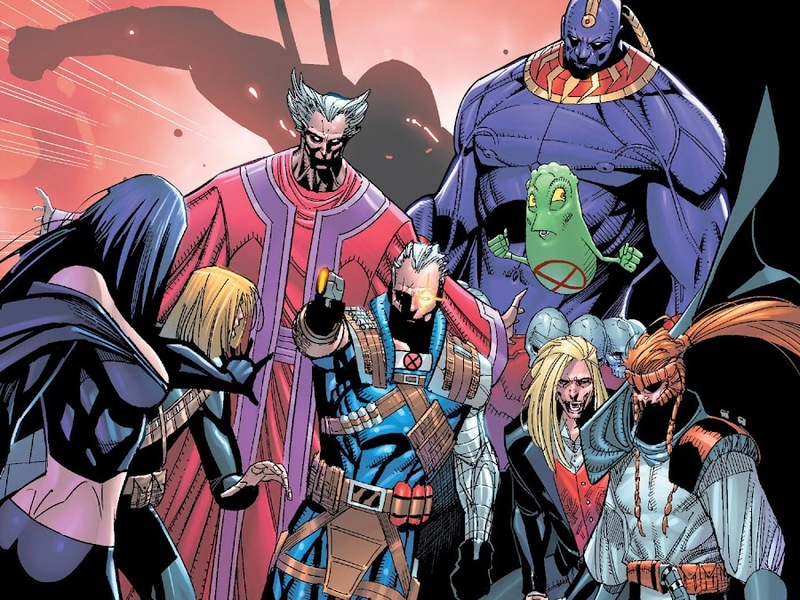 The title of the arc is a nod to original team of New Mutants formed by Cable and it collects issues #150-154 of his solo monthly ongoing series from Marvel Comics. Even though not as the Black Queen of the Hellfire Club, energy vampire Selene shows up with her band of Externals and reference of 2009 crossover event "Necrosha" were made. Also, mutant super villain Gideon makes his return in his immortal glory after spending longer time than you think in stasis and started time travelling before going back to his old ways. Soon as he wrapped this up, Cable is reunited with a loved one only to be chased by someone with a murderous grudge on him during next arc of "Past Fears".